In the United States, approximately 133 billion pounds of food is wasted annually. 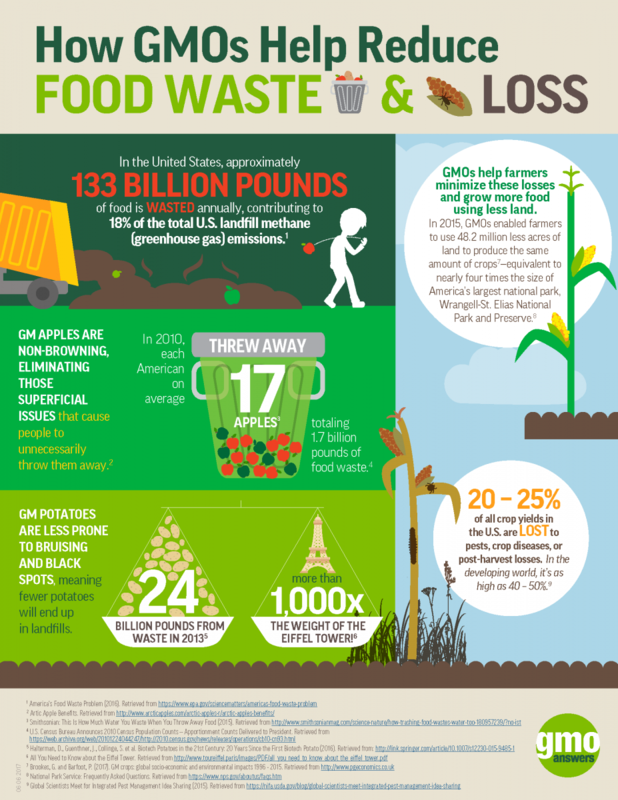 GMOs help farmers minimize these losses and grow more food using less land. Please include attribution to GMOAnswers.com with this graphic.